Closeouts. The leaves are changing, the air is crisp, and you’re bringing out your festive plates for a before dinner snack. 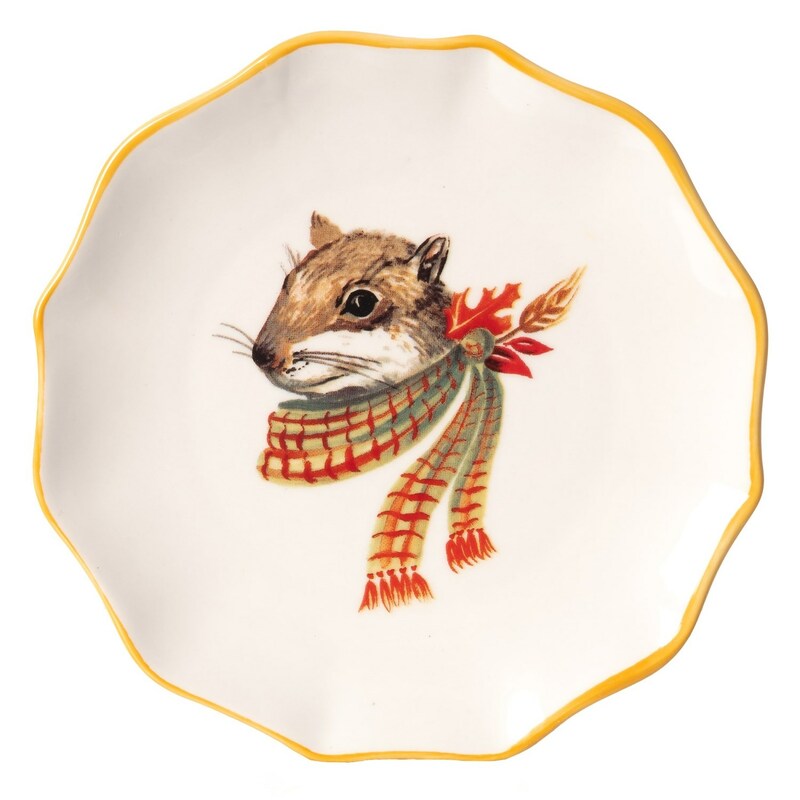 Magenta’s Squirrel appetizer plate is decorated with the lovely artwork of Angela Staehling and has scalloped edges with colorful trim.